While touring the Babb house, I attempted to photograph some of the wall treatments. While the lighting was not the best, I think you will get the gist of it. 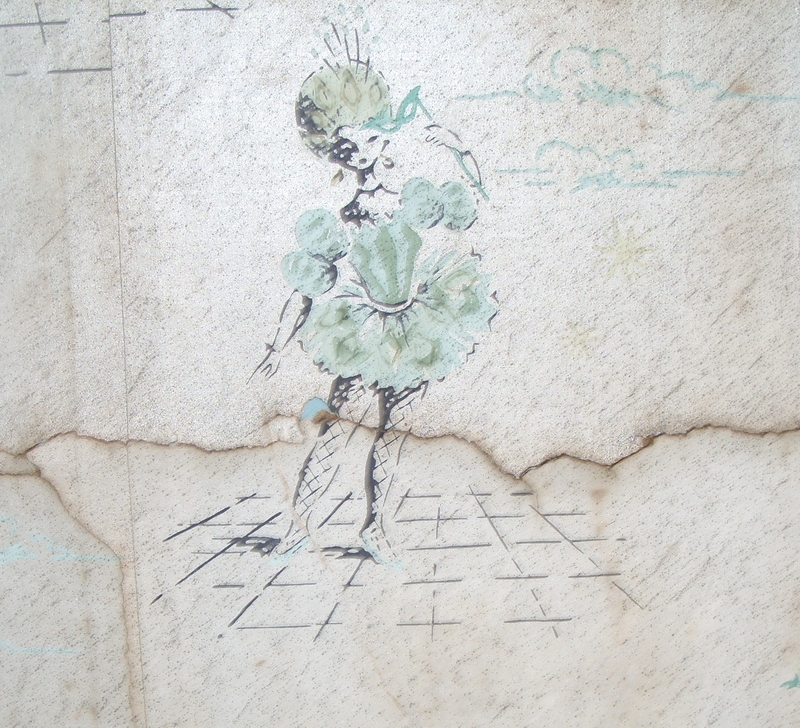 I thought that this vintage wallpaper was quite charming and I am attempting to date it by its unusual masquerade motif. 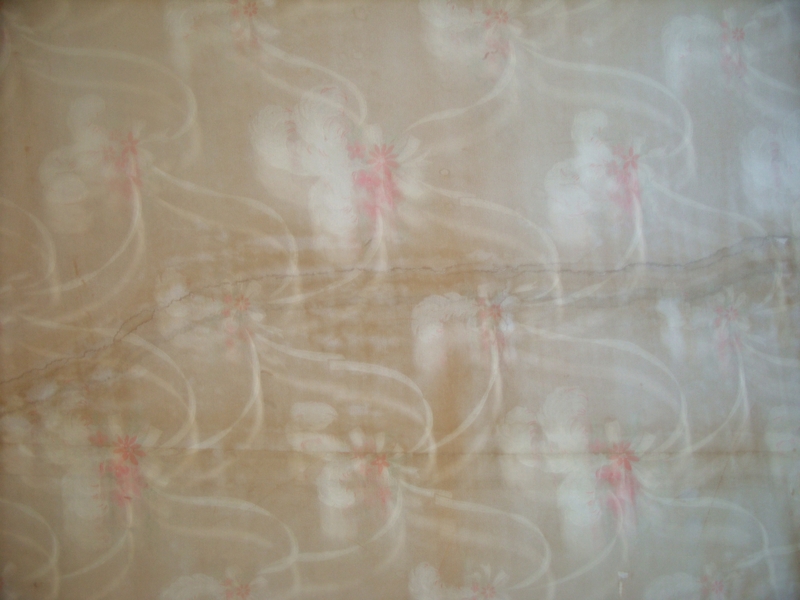 While not as smitten with this particular pattern, one can appreciate the dainty pink flowers, which almost appear as if they were hand painted onto the paper itself. The pattern is as photographed. It is not due to the camera shaking and actually appears that way. Here, one can see an example of block, which was chiseled or tooled by an artisan of a bygone era. The foundation block, which is composed of black hand stand stone, was more than likely quarried locally and this particular method of tooling is referred to as “drove work.” This hand tooled type of dressing was a bit more irregular than its modern day counterparts, however, it is more pleasing to the eye. 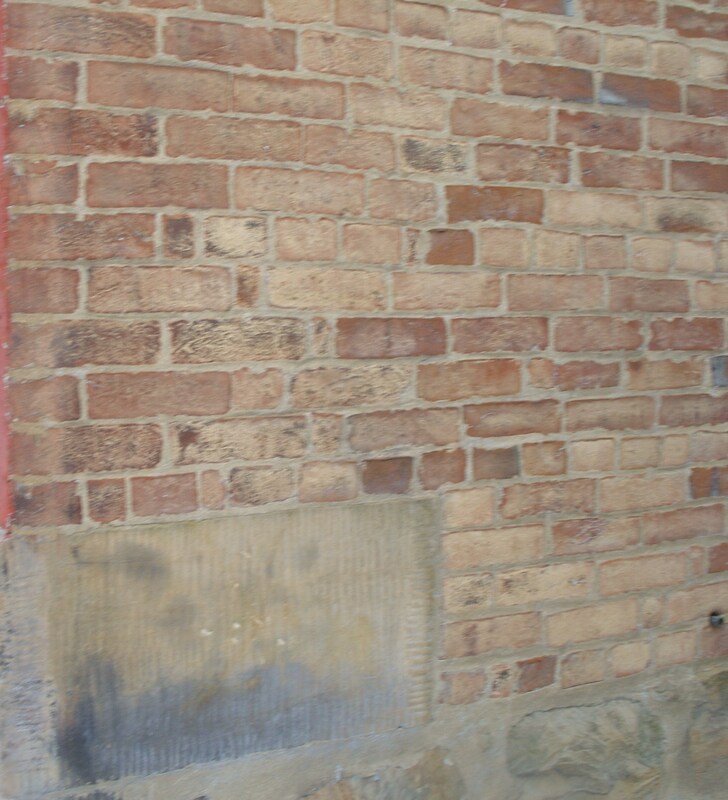 The bricks, also made locally and by hand (note the creases), are laid in an American or common bond pattern. The front of the house has been painted, but these wonderful bricks, located on the western side of the home, maintain their original integrity and are a lovely myriad of soft hues. The darker bricks were placed closest to the heat source within the kiln. Bricks are the most sustainable building material. While the present generation thinks themselves progressive in green living, our forefathers beat us to it. The clay materials, which are necessary for the making and the burning of the bricks are plentiful in this area of Appalachian Ohio.